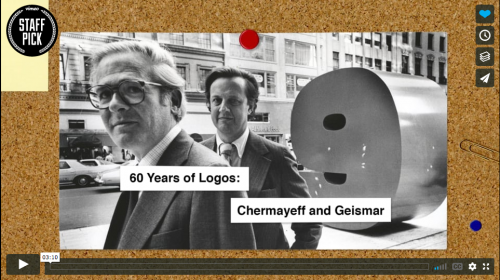 Corporate identity legends Ivan Chermayeff and Tom Geismar talk about their achievements. If you watch television, use the post office, have a checking account, buy gasoline, or enjoy modern art, you've seen the work of Ivan Chermayeff and Tom Geismar. The graphic design team is legendary for their many corporate identity achievements.